ENG: Hi friends! I’ve backed from vocation and there are many amazing photos which I will show to you in soon. 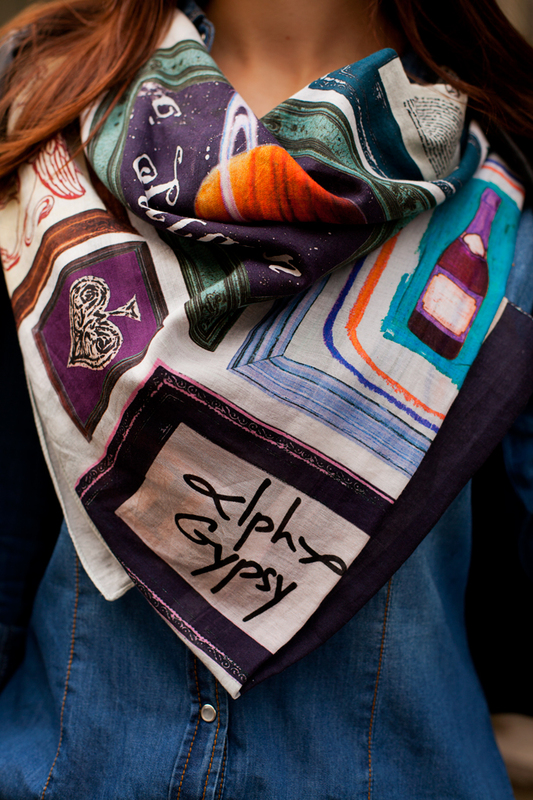 Now I would like to introduce you my new scarf by Alpha Gypsy. Besides gorgeous prints and fabrics, this item can create a certain mood: when I’m wearing it I feel myself walking at long streets of old European city, drinking cap of strong coffee in small café or visiting vintage store. Hope, your autumn will be smooth and nice. Thanks for reading! RU: Привет, друзья! Мой отпуск был замечательным и в скором времени я покажу вам все фото. А пока мне бы хотелось познакомить вас с новым шарфом от Alpha Gypsy. Кроме красочного принта и мягкой ткани, эта замечательная вещица может задать настрой на целый день. В таком шарфе хочется гулять по узким европейским улочкам, пить крепкий кофе и заглядывать в небольшие винтажные магазинчики. Хорошей вам осени! Спасибо, что читаете! TR: Merhaba arkadaşlar. Tatil bitti ve geri döndüm. Size inanılmaz süprizlerim var. Birbirinden güzel kombinler yapıp, harika resimler çektim. Ama öncelikle size göstermek istediğim bir eşarp’ım var. Alpha Gypsy’nin bana gönderdiği bu inanılmaz güzel desenli ve şık eşarp, eski zamanların esintilerini taşıyor. Umarım sizde beğenirsiniz. What a beautiful scarf, the jewel colours are perfect for autumn. You always look impeccable! Great scarf and shoes! 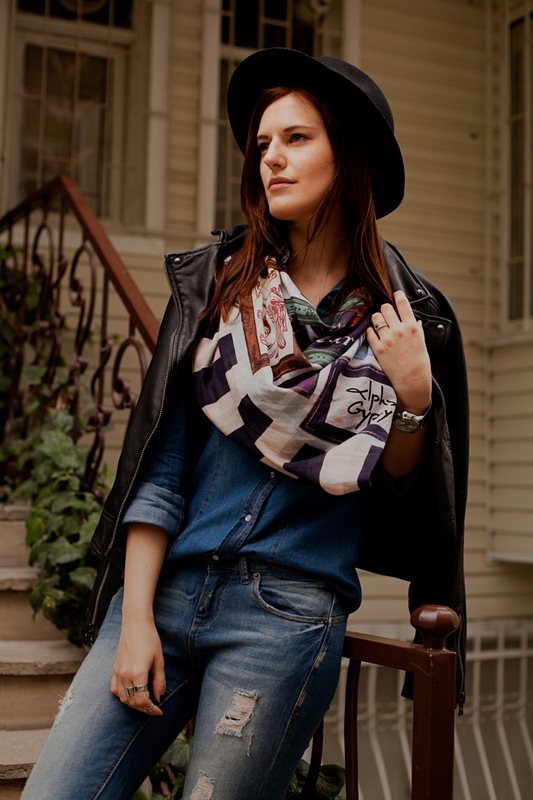 Gorgeous scarf and you look so gorgeous in this outfit! wow, love this beautiful look! Great pics and cute scarf! Kisses dear. Fantastic scarf! You look so chic! Such cool and chic scarf hat and leather jacket combo! 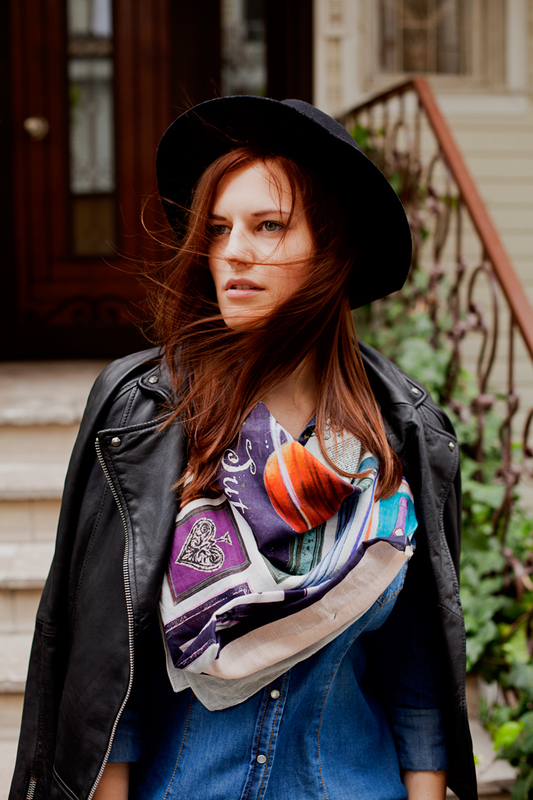 Welcome back doll, the scarf is so beautiful, love the rich tones and great print. Отличный образ, очень понравился!Шарфик роскошный! Виктория, шарф великолепный - яркий, при этом "сочетабельный", с настроением ! Образ очень стильный и полный за счет шарфа. Жду фото из отпуска ! A scarf can change everything, yours is insanely beautiful! Шарф великолепен!!! Фотки обалденные!!! Целую!!! Такой шарф просто необходимен ранней осенью! Тебе идет! I appreciate your visit hun! Happy Friday! Great look! I love the jeans :-) I am wearing ripped jeans as well today, from MANGO. They actually don't really fit me but I squuuueeeeezed myself into them anyway! Awww nice outfit like always!! Your scarf looks so cool! I like the design and the various colours. Looking forward to see photos from your vacation.